How to Use and Set the Cruise Control in the 2018 Honda CR-V! 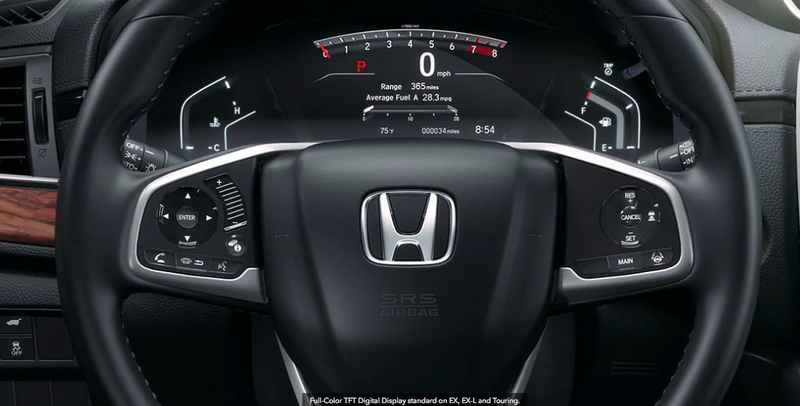 So you’ve decided and now you’ve purchased your perfect 2018 Wilde Honda CR-V, but before you start driving down 41 it is important that you understand how some of the basic technology features, like Cruise Control, work. Most of the time drivers use Cruise Control when driving long distances on highways or interstates since generally Cruise Control is used when speeds are higher and less traffic is present. The main purpose of Cruise Control is to allow the driver to move their foot to prevent ankle cramping. You can hit the brake to turn the cruise off when driving. To turn it off on the vehicle, simply hit the cruise button again. Now that you know how to use and set the Cruise Control in the 2018 Honda CR-V, you are ready to start driving your new Wilde Honda all around Sarasota, Bradenton, Lakewood Ranch, and Venice. If you still need some help, don’t worry! Call us today to set up an appointment with our staff. For more Wilde Honda Sarasota News and Events, follow us on Twitter or Like us on Facebook!